Throughout your cat’s life, their nutritional needs will change. Cats need several different kinds of nutrients to live a healthy life and it’s also important that their food tastes delicious so they enjoy and complete every meal. 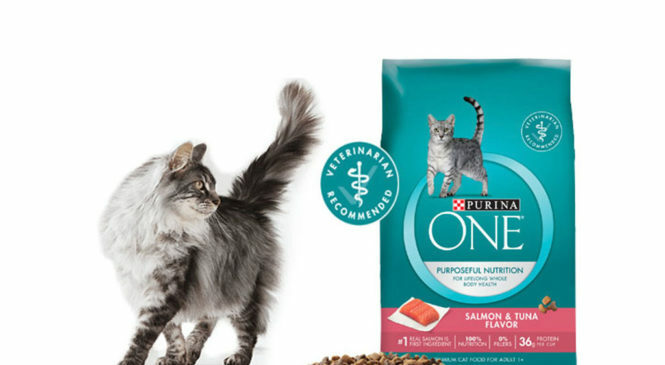 Purina One Adult formulas can help you make a difference to your cat’s health by providing advanced nutrition and delicious taste to help build the six signs of health. Sign up for their 21-day challenge by clicking the ‘Claim Now’ button below to get a free bag of Purina One Salmon & Tuna Cat Food and see a visible difference in your cat’s health.